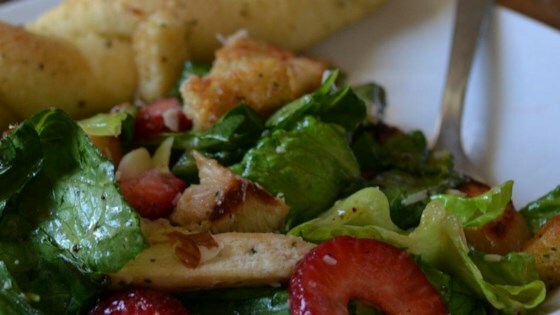 "This recipe uses three kinds of fresh berries and your choice of mixed salad greens, all tossed together with grilled chicken and a special honey mustard dressing. This is my favorite summer salad - I make it for company all the time! And it is very pretty!" My kids did not like this recipe. This recipe was fantastic. I have already shared it with several others. This recipe was fantastic. Its great for a full meal and is really satisfying on a hot day. My son even liked it.. lots of great fruit.